A lot of patients avoid going to the dentist out of fear that it will be painful. Like other forms of medicine, dentistry uses anesthetics to ease discomfort during dental treatments, like routine cavity fillings or root canals. However, some patients are more sensitive to routine dental treatments and even dental cleanings, in which we recommend sedation dentistry to complement local anesthetics. 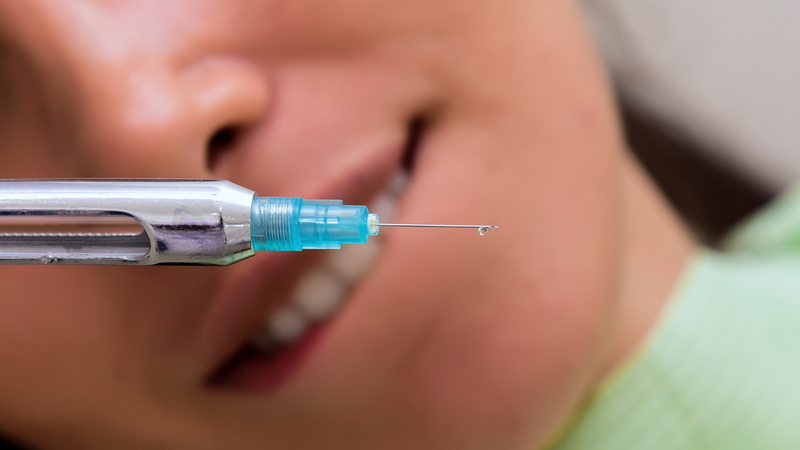 At Rejuvenation Dental, one of our most commonly requested services is sedation dentistry. Many patients choose to opt for sedation dentistry to help ease anxiety. Before choosing a form of sedation, we will consider the conditions of the patient and the treatment they are undergoing to determine the best type of sedation. Sedation is a common form of anesthesia used in dentistry, while general anesthesia is usually reserved for more invasive surgeries. While sedation and general anesthesia share a lot of similarities, they are two completely different forms of anesthetics with different side-effects, benefits, and risks. During sedation, patients are able to respond in conversation and move. Under general anesthesia, patients are completely unconscious of their environment, cannot respond to commands, and they will not be able to move during treatments. For routine patients, we typically use a local anesthetic to block pain while patients undergo treatments. However, sedation dentistry is necessary for patients suffering from severe anxiety, sensitivity to pain, or those undergoing lengthy treatments in one sitting. Sedation dentistry is useful for ensuring that the patient feels safe and comfortable during their treatments. There are multiple forms of sedation, which we will recommend based on your medical history, sensitivity to pain, and unique circumstances. For instance, we might recommend moderate sedation, which is administered orally via pre-treatment pills, for patients with moderate anxiety, undergoing short treatments. For patients with more severe anxiety undergoing longer treatments, IV sedation is more successful. For younger patients, we will most likely recommend nitrous oxide, which is sometimes referred to as “laughing gas”. IV sedation is typically the most successful and safest method of sedation. Few patients will ever need general anesthesia for dental treatments. It is most commonly used for major and minor surgeries in a hospital operating room. General anesthesia often needs to be performed in a hospital, because it creates a higher risk for patients. General anesthesia slows down the patient’s respiratory system and heart, requiring the patient to be monitored at all times. Before undergoing general anesthesia, the patient must undergo blood work, x-rays, and an ECG. For a dentist to use general anesthesia, he or she will need to have undergone advanced training or an anesthesiologist will need to be called in, making it an expensive option for dentistry. Another primary difference between sedation and general anesthesia is that you will have a breathing tube to help you breath, since your body will essentially incapacitated during the treatment. This will make it harder for your dentist to perform treatments, since you won’t be able to help adjust your jaw and head. How are Sedation and General Anesthesia Similar? Sedation and general anesthesia are both used to help patients feel comfortable and pain-free during treatments. Before administering either general anesthesia or sedation, patients will need to undergo a medical evaluation. During this evaluation, the medical provider administering the sedation or general anesthesia will need to assess your medical history and perform a physical exam to determine dosages. For most forms of sedation and general anesthesia, the patient will often be required to undergo some dieting restriction before their treatment. However, these will all be explained before your treatment. Due to the fact that IV sedation is safe, effective, and more convenient than general anesthesia, we will most likely never recommend general anesthesia for your treatments. For patients with severe dental anxiety, we can help you conquer your fears and heal your dental health through safe and effective sedation methods. Want to learn more about sedation dentistry at Rejuvenation Dental? Contact us and schedule an appointment.